Since 1995 Expertise Engineering has supported our clients with innovative engineering services related to product design and development. Our in-house team has experience in the medical/biotech, consumer and industrial marketplace. We are ISO 9001 and 13485 certified. Our in-house team of 15 engineers including MEs, EEs, SW/FW programmers and industrial designers has seen a lot and is ready to dig in and help. Working out of 7,000 square feet of labs and office space gives us the capability to help you with your design, development, prototype, tooling, and documentation needs. Our in-house team of 15 engineers including MEs, EEs, and SW/FW programmers has seen a lot and is ready to dig in and help. Working out of 7,000 square feet of labs and office space gives us the capability to help you with your design, development, prototype, tooling, and documentation needs. 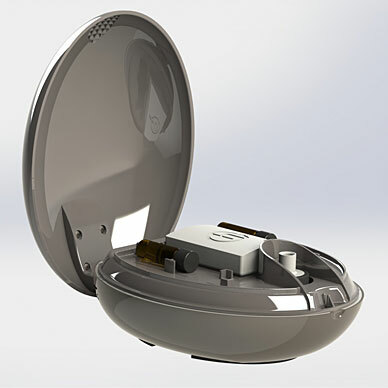 MEs design enclosures, mechanisms and sensors and work closely with EEs, industrial designers and programmers to craft a product. Their ability to design tooling and is a result of knowledge about fabrication techniques, manufacturing, and materials. Industrial design can take any product up a notch. We have seven seats of SolidWorks and a 3D printer to help things out. Our engineers have the depth that only comes with the constant flow of new and different design tasks through Expertise Engineering. This includes PCBA design. 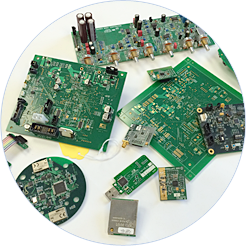 Our EEs have depth in RF, power supplies, microcontrollers, sensors, motor control, Dust Networks, Zigbee, WiFi, BlueTooth, BLE, and embedded systems. We use PADS and Altium and have three total seats. Our FW/SW team has broad embedded experience that only comes with exposure to design challenges. Back them up with MEs and EEs, most of whom can program as well, the right tools, and you get a team with real capability to make things work. Product development is a team sport; programmers are key players. 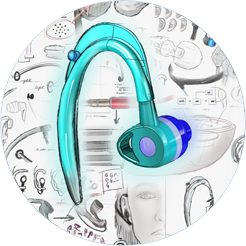 Medical product design makes up over 1/2 our business. To better support our clients we now have ISO 9001 and 13485. We are familiar with the need to work with our medical customer's documentation requirements and in-house engineering resources. We have worked on surgical tools, diagnostic equipment, implants and disposables. With medical products in particular we often augment our customers specific knowledge with our general purpose capabilities. We have been in this space even before it was known as 'Machine to Machine' or the 'Internet of Things'. We work with Dust Networks, Zigbee, and point-to-point networks from the gateway to the sensors. Having MEs, EEs, and programmers at Expertise helps development efforts. 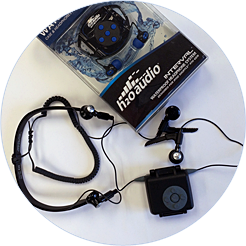 In the world of M2M, it often comes down to custom sensor packaging, radios and customer FW. We can help you with that. All products need to be made and our customers frequently need help with fabrication tooling like molds, and assembly fixtures and testers. This equipment can need ME, EE, and FW support to design and fabricate. While our customers in-house team focuses on the product, we can help with the tooling efforts. Sports equipment, phone and tablet cases, light construction equipment, ear buds, and laboratory equipment are examples areas we are active in. 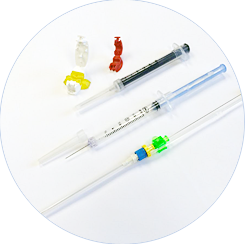 We can help you design custom plastic parts and get them into production. Shown are a complex IV, an automatic needle retracting syringe, and a few complicated small plastic medical retainers. We have seven seats of SolidWorks. We have ISO 9001 and 13485 to better serve this market. If the product on your wish list includes electronics we can help. 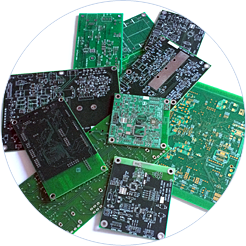 Shown is a stack of circuit boards we have designed for various markets including medical, consumer and commercial products. RF, embedded systems, power supplies, bluetooth, wifi are among the areas we have depth. We have three seats of high end schematic capture, layout, and simulation software. When you need Industrial Design, plastic and part design, electronics, and consideration of manufacturing processes quality, we can help. This product had 20 injection molded parts, a complex PCBA, lots of FW and a real need for detailed design to match the client's desire for a very high end device. All the work was done in-house. We can be your team or help your team. Here is an example of some of the products we have designed recently. We have a significant mechanics design team of six mechanical engineers. 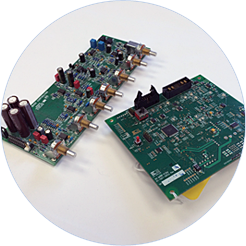 We have an active in-house embedded team that has worked with radios, networks and many types of microcontrollers. After the design is 'done' sometimes the heavy lifting begins as the product moves into production. Tooling, debugging, complicated test fixtures and documentation are common tasks we can help with. 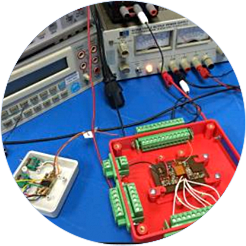 Shown here is a medical implant PCBA under test. Shown are some recent projects. One is an 'old fashion' low noise analog design for a musical instrument (sometimes that industry likes the old look.) The other is a typical PCBA with a microcontroller and a collection of analog and digital inputs. Product design is a team sport. We can be your team or augment your team. We are located in Sorrento Valley, San Diego, CA. Expertise Engineering LLC, is a product design engineering company started in 1995 by a group of engineers from varied backgrounds and has a wide range of expertise in industrial, medical and consumer product design. We have helped numerous companies get their ideas and concepts into production. Our in-house team of 15 engineers has 7,000 square feet of offices and lab space centrally located in Sorrento Valley near UCSD and the train station. © 2016 Expertise Engineering | All Rights Reserved.